Accountants need to choose a depreciation schedule that maximises deductions for co-owners. In recent years, the number of tax depreciation schedules BMT Tax Depreciation have seen completed for co-ownership of property suggests that it is becoming increasingly popular in Australia. This is not surprising. With property prices steadily rising, co-ownership of property opens doors for investors by increasing their buying power and reducing the burden of purchase costs and ongoing expenses like rates, repairs and maintenance. With the above in mind, accountants need to be aware that ownership structures can influence how property depreciation is calculated. 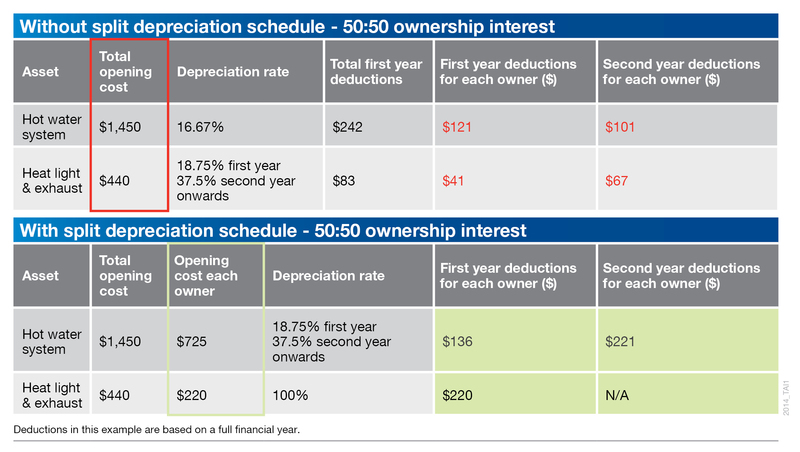 To ensure that clients who co-own an investment property are maximising deductions, it is important that accountants recommend their clients obtain a depreciation schedule from a specialist quantity surveyor who will calculate deductions based on each owner's percentage of the ownership split for each asset. No two schedules produced by different depreciation providers are the same and often we see examples where an investor’s deductions have been calculated without using the split formula correctly. This involves working out each owner’s interest in the assets within the property first before working out the depreciation deductions. Accountants also need to be aware that co-ownership will affect the way deductions should be calculated for assets that are eligible for an immediate write-off. When applying depreciation legislation to assets within co-owned properties, the cost threshold that qualifies assets for accelerated depreciation rates can be governed based on each owner’s interest in the asset. However, it is often more beneficial to calculate each owner’s interest in the individual asset's value first and then apply the depreciation rules accordingly. Legislation allows property investors to claim an immediate write-off for assets with an opening value of $300 or less. In a situation where ownership is split, an accountant can apply this rule and claim an immediate write-off to items where an owner’s interest in the asset is below $300. Where an owner’s interest in an asset is $1,000 or less, these items can be placed in a low-value pool. Pooling is a method of depreciating plant and equipment assets at a higher rate to maximise depreciation deductions. Investors who decide to place assets into a low-value pool can claim them at a rate of 18.75 per cent in the year of purchase and 37.5 per cent for each year afterwards. In a 50/50 ownership situation for example, by splitting an owner’s interest in each asset, the owners can claim items up to a total value of $600 as an immediate write-off. An asset that is valued or cost less than $2,000 will now qualify for the low-value pool and the owner can take advantage of the increased depreciation rates. The following table demonstrates the impact a co-owned, non-split schedule versus a split depreciation schedule can have on an investor’s deductions for two of the assets found within their investment property. Depreciation for a hot water system, purchased for $1,450, can be calculated using the low-value pool, greatly increasing the value of deductions. The split schedule is also able to allow the heat light and exhaust unit valued at $440 to be written off immediately as a $220 deduction for each of the owners. By obtaining a split depreciation schedule, the first-year claim for each owner went from $162 to $356 and the second-year claim went from $168 to $221. This is a total of $247 additional deductions the investor could claim over two years on just two of the assets contained in their investment property. This increase is multiplied when all of the assets contained within the investment property are accounted for. For owners with an even smaller interest in assets, low-value pooling and immediate write-off will apply to more assets, increasing depreciation deductions earlier. Choosing a specialist quantity surveyor who will prepare a split depreciation schedule is imperative to ensure the maximum depreciation deductions are claimed for an investor, and to assist accountants in their preparation of annual tax assessments. A quality schedule will also substantiate your client's claims in any case of an audit by the Australian Taxation Office. 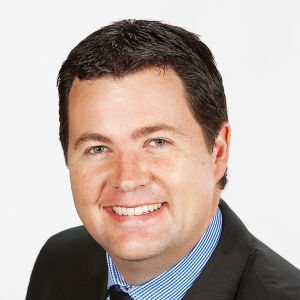 Brad Beer is the managing director of BMT Tax Depreciation and has over 15 years’ experience in the property depreciation, building and construction industry. Brad is actively involved in educating property investors and property-related organisations about the importance of tax depreciation. He is a regular keynote speaker and presenter, covering property depreciation services on television, radio, at conferences and exhibitions Australia-wide.